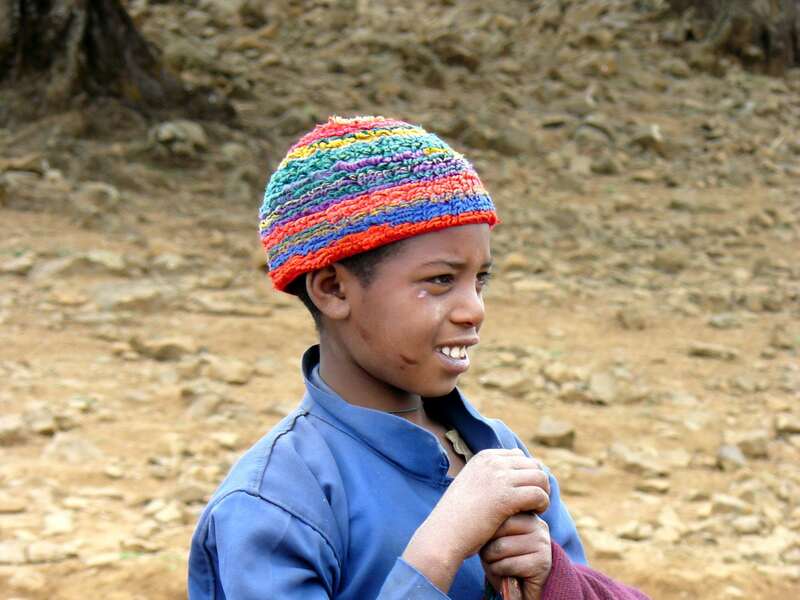 We collaborate with partner schools and organizations to customize programming in Ethiopia. Rich in history, culture, and wildlife, Ethiopia has been called the “land of sunshine” and “the heart of Africa.” Envoys trips in Ethiopia move from the fast-growing Addis Ababa, home to the African Union Headquarters, to the historical capitals of Gondar and Lalibela. We include extensive lessons on the dramatic history of Ethiopia, the only country in Africa never to be colonized. 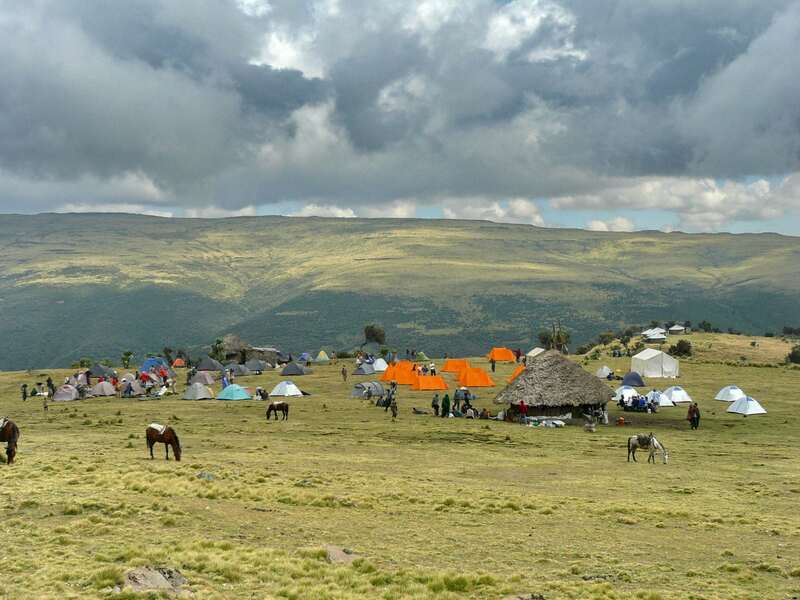 Our appreciation for the wild beauty of the landscape is developed through our short mountain treks, staying with local communities in specially built tukuls. Envoys programs in Ethiopia work with both LinkEthiopia and the Yenege Tesfa Foundation to provide assistance to local communities. Following our philosophy for service learning, all projects are collaborative in nature. We fly into Addis Ababa, the third-highest capital city in the world, and check into the Ras Hotel. After a thorough health and security briefing, we travel past the American Embassy to the top of the Entoto mountain to survey the city. We enjoy an evening of traditional Ethiopian food and dance at the famed Habesha restaurant. The morning begins with a process of setting learning goals for the trip. Working with Envoys staff, students review the content of their online courses, and identify how they will take responsibility for making this trip a life-changing experience. We set goals for learning about Ethiopian history and culture, interacting with local citizens, exploring the wildlife, understanding the larger picture of what we see, being of service to the population, and sharing our adventure with those back home. Following this dynamic process, we set out to explore the bustling Piassa area and visit the historic St George’s Church. Lunch is at the Taitu Hotel, the oldest hotel in Ethiopia. Following lunch, we explore the importance of Haille Selassie in modern Ethiopian history while we tour the former Emperor’s palace. After a brief stopover to “visit Lucy” in the National Museum, we head to the Jewel of India restaurant, a personal favorite of Envoys co-founder Seth Leighton from his days living in Ethiopia. We take an early morning flight to the town of Bahir Dar and check into the beautiful Ghion Hotel, situated on scenic Lake Tana. During the afternoon, we put on our “Indiana Jones” hats, and pursue the superb archaeological and historical detective stories housed inside Lake Tana’s ancient island monasteries. Students are assisted with interviewing local guides, shopkeepers, and priests about their daily lives. Today is a day of learning and adventure! We begin with a dynamic activity on hydroelectric power development in Africa, providing context for the day’s explorations. We take a bus journey to the sleepy village of Tis Abay and cross the Blue Nile by boat. Finally, we hike to the splendid Tississat Falls (“the water that smokes”), one of the most dramatic falls in Africa. During the evening, students compose the first of their “stories for home” about their day, focusing on explaining their day to a specific member of their family. We take a morning drive around the vast Lake Tana, and move up through the highlands to the city of Gondar, the capital of Ethiopia during the seventeenth and eighteenth centuries. We stay at the regal Goha Hotel, perched above the city. Our afternoon begins with a visit to the extraordinary Fasiledes Castle Compound, a UNESCO World Heritage Site. 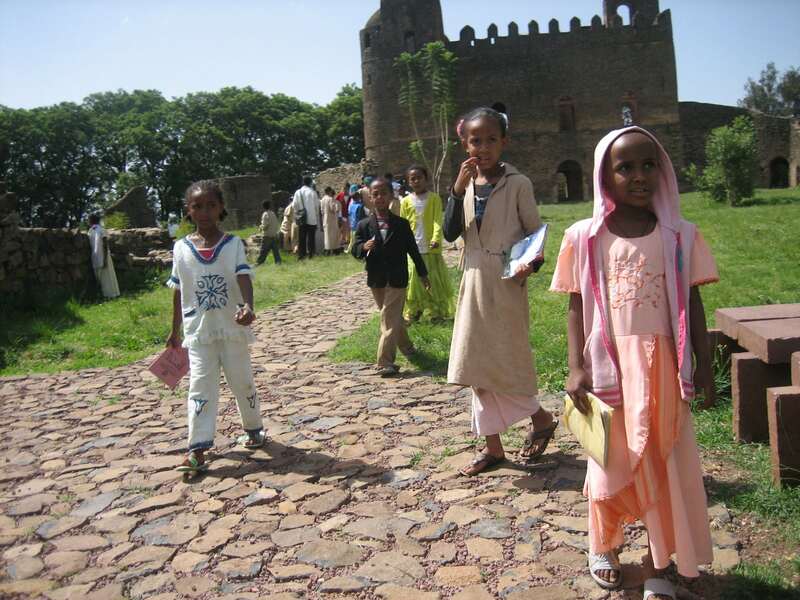 Students are individually partnered with members of the Gondar Offical Tour Guides Association, and spend the rest of the afternoon exploring the town on a more personal level. Today brings us to the “rooftop of Africa,” the famed Simien Mountains. We travel by bus to the Simien Mountains National Park for hiking and picnicking among the ubiquitous Gelada baboons. The lushness of the mountain scenery serve as the perfect context to discuss the contrasts between the poverty we have witnessed and the natural resources and wealth of Ethiopia. On the way back to Gondar, we stop by the Ploughshare Women’s Crafts Training Center to witness a unique approach to skills development. Ploughshare teaches single mothers and women with HIV to create crafts that they can sell for income. Students tour the facilities, talk to the instructors and women, and engage briefly in making their own handicrafts. The service learning portion of our trip takes place over the next two days. 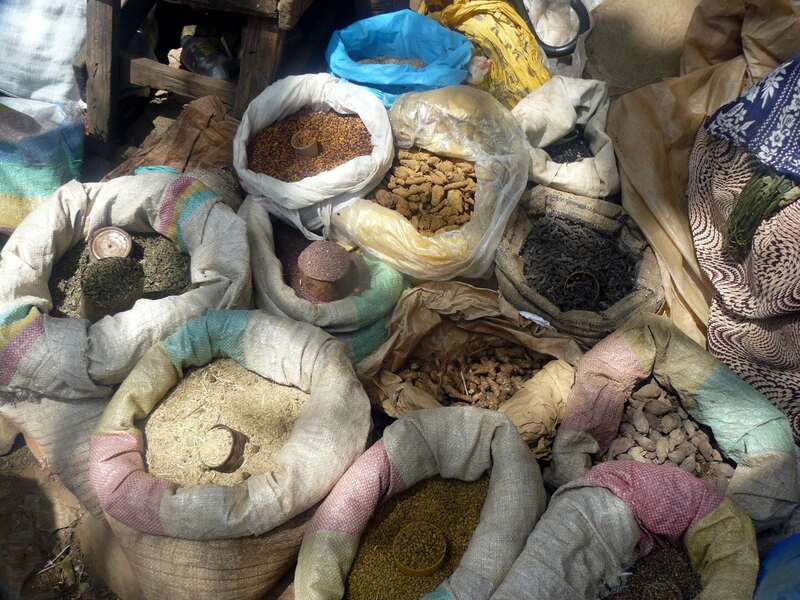 As Envoys adopts the “Do No Harm” framework for its activities, each service learning opportunity is conducted under the express request and guidance of our local partners, including LinkEthopia, Yenege Tesfa, and the University of Gondar. We consider both the immediate impact of our work as well as the long-term disturbances in power relations and dependency when selecting projects. Activities may include teaching local children, assisting with development of teaching materials, building and cleaning toilet facilities, or assisting with fundraising materials and plans. 1. Be proposed by our local partners and seen as essential to improving their operations. We do not engage in re-painting murals or any other “photo-op” projects that will be repeated by subsequent trips. Envoys students will only participate in projects that result in an actual benefit to the communities. 2. Facilitate collaboration between volunteers and those that they serve. We refuse to contribute to a culture of dependency and see collaborative projects as the best means to develop understanding and empathy. We take an early morning flight to Lalibela, perhaps the most notable holy place in all of Africa. Gebre Mesqel Lalibela, considered a saint by the Ethiopian church, is said to have attempted to build a new Jerusalem as his capital in response to the capture of old Jerusalem by Muslims in 1187. Lalibela is famed for the rock-hewn churches scattered throughout the town. As we tour these architectural marvels, we discuss the role of UNESCO and the international community in protecting World Heritage Sites. During the evening, we engage in an important and unique reflection and communication exercise. Students craft a lesson on one particular church to impart to their school classmates back home. Envoys staff guide students in using photos, videos, and short lectures to create a compelling narrative. 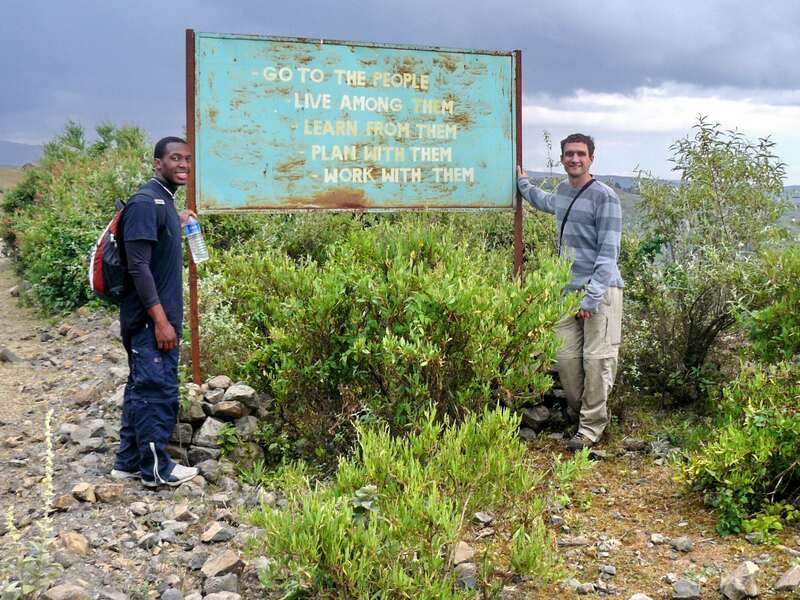 Envoys students next undertake a private TESFA Community Tourism trek. We trek through the rugged countryside as guests of the communities, staying in traditional “Tekel” houses and visiting with local farmers. The combination of the physical trek and community interactions is geared to introduce students to a wider view of the world. At regular points during the trek, Envoys staff conduct individual and group discussion sessions to scaffold the personal growth process. On the last day, we will return to Lalibela to relax and reflect on our journey. We take a morning flight to Addis Ababa for a final dinner and reflections on the trip. Students return to the learning goals that they set for themselves and reflect on their progress, making plans for maintaining connections to Ethiopia after they return home. Finally, we spend time discussing the impact of the trip on our views of ourselves and the world, crystallizing the changes that have taken place and setting goals for continuing to learn.